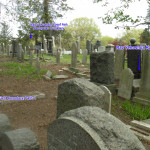 Directions to Kever: Union Field Cemetery in Queens maintains computerized records and will provide a detailed location map upon request. 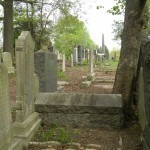 Main Road, right on Path I and go about thirty feet past the end of the pavement, along the boarded of Machpelah Cemetery. The kever of Rav Avroham Yosef Ash is to the left. Not sure who he was but he has a son buried in Union Field. Was this a shul on allen street? 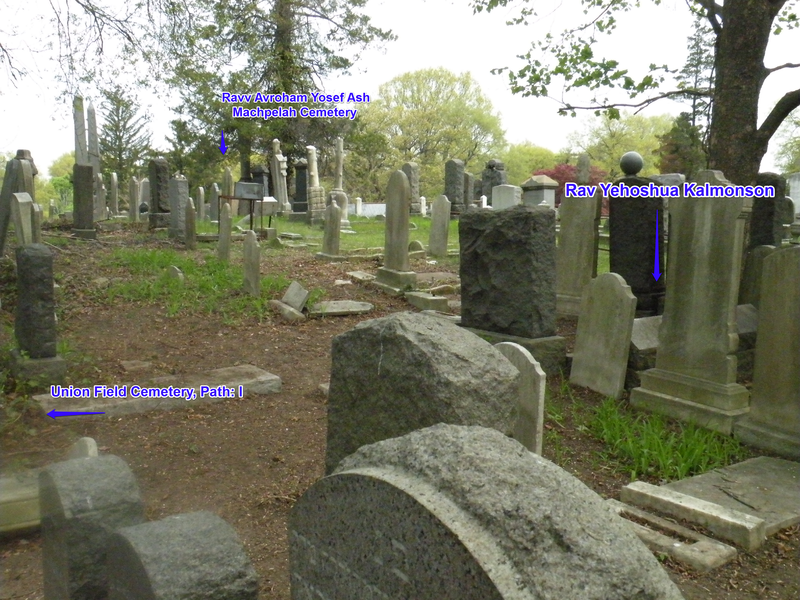 and it would represent the Allen St. Shul, the question is if it makes sense with the dates? So you are suggesting, Farshlufen, that this is the Eldrige St. Shul in its previuos location? maybe. 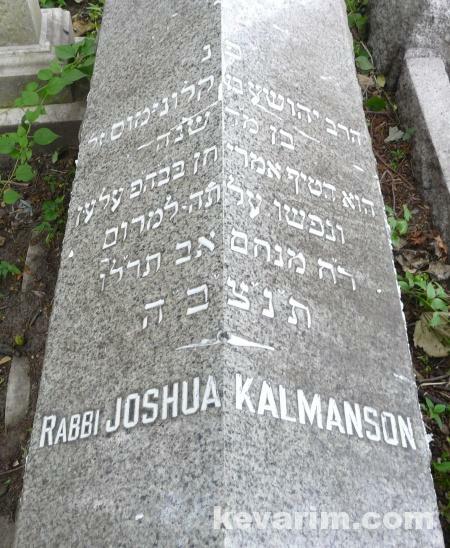 I think based on the wording on the Matzeive, it seems that he was not the official Rabbi but rather that he Preached in that Shul, this is an interesting discovery, since it goes back 134 years since he passed away. I don’t think he was associated with Eldridge. 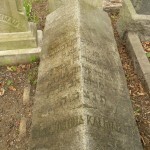 In the Eldrige Synagogue book he is not mentioned at all in relation to Allen st. nor Eldridge. Also, there are a lot of mistakes on this kever. I don’t think his last name was Kalmanson. He was “ben Klonumus”. They might have thought that was his english name? The mistake with the abbreviation is also wrong as YD said. There were other shuls on Allen street, he could have been the Rav of one of them . Most noteablly there was a tremendous shul on Allen, around the corner from ELdridge that is today a Buddist temple r”l. 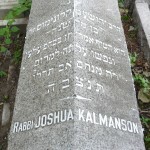 Although, he is buried next to R’ Ash who was the Rabbi of Eldridge before he left. There definitely is some connections here. Maybe he was an interim Rav at Allen street (pre-Eldridge). Why should assume that they didn’t know his name? He was probably called Kalmansohn because his father’s name was Klonimus (Kalman?). As someone pointed out above, it seems he wasn’t the Rav just said shiurim etc. (notice his age, only 44), which possibly is why he isn’t mentioned in that book. What is the name of his son buried in UF. The sons name is Kalmon Kalmonson. Thank you. Union Field is not computerized yet – what a dead place… They have nothing on Kalmanson (spelled with an “A”). 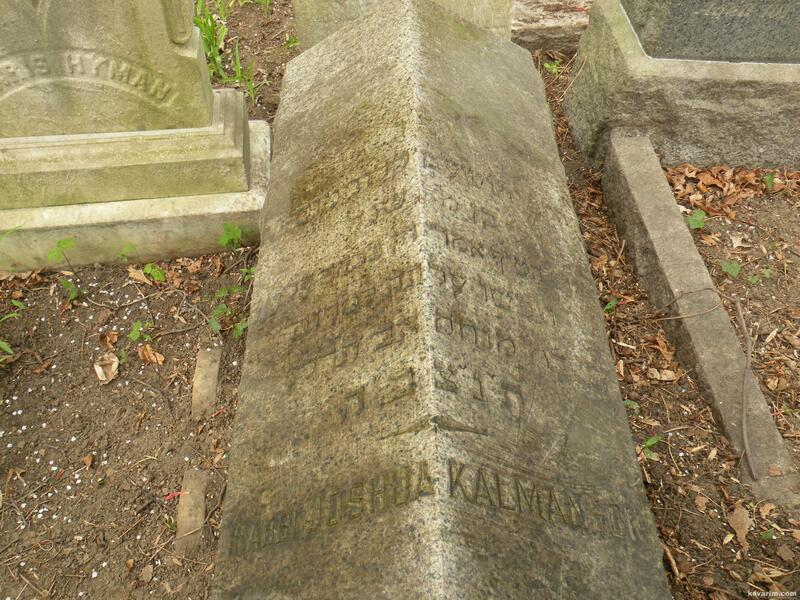 He might be listed be under KalmOnson (with an “O”), however he needed the passing date in order to look him up – Rabbi Stern, do you know the date he PA’d and where about in UF Kalmon is buried? 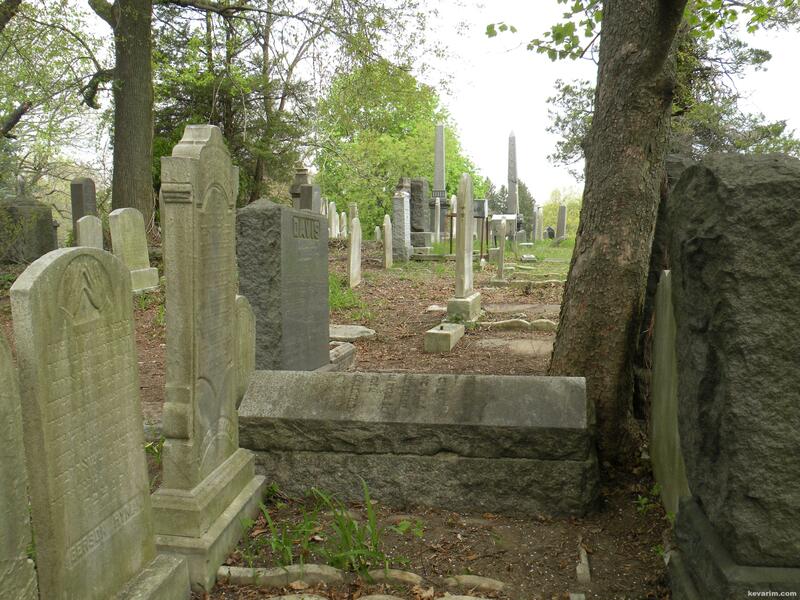 The phone number listed for Machpelah Cemetery is a non working number. If the son’s name was Kalman, we can rightfully assume that the father’s name was also Kalman, as I wrote above.